Choose the backing wisely– You can choose from different types of backing for your patch. One of the most popular backings is plastic. Plastic backing ensures that the shape of your patch is retained by adding stiffness. If you want to try something different, then you can consider going for a magnetic backing, in which the back of the patch is a magnet. Adhesive backings are another popular type of backing, but they don’t last long, especially if you plan to machine-wash your clothes. If you want the patches to stay for long, then consider sewing them or going for the heat-seal backing. Determine the embroidery percentage– The percentage of embroidery on the patch decides the price of the patch. The higher the percentage of embroidery, the higher the price. 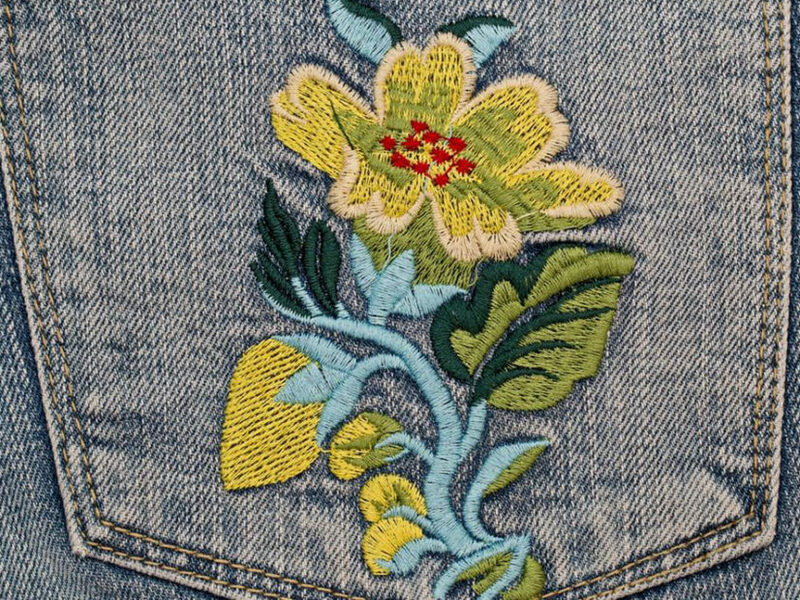 Typically, an embroidered patch has around 75% of embroidery. If you go with 75% of embroidery, then the rest of the patch will be the colored background of the design. Decide the right border– Along with deciding the shape of the patches, you must also pick a border for your patches. If you choose any of the basic shapes like an oval or a circle, then you can consider going for the most common border type, called the merrowed border. The merrowed border, also known as an overlock border, is a border that wraps the thread around the entire fabric of the patch. This type of border looks aesthetically appealing and it adds to the durability of the patch. Note that the merrowed border cannot be used if your patch has pointed edges or it has an irregular shape. Go crazy with the colors– You are spoilt for choice when it comes to the color of the embroidery. You can choose the colors for your embroidered patch from the hundreds of threads that are available in the market. Try to go for designs that use flat colors instead of different hues or color gradients, as it is difficult to get the color gradients embroidered. The most intriguing thing is that you don’t necessarily need to put these embroidered patches on your clothes. Today, many people don’t mind getting customized embroidered patches just to add to their collection. So, instead of sticking to the latest trending designs, experiment with the sizes and the shapes and come up with your own unique customized embroidered patches.